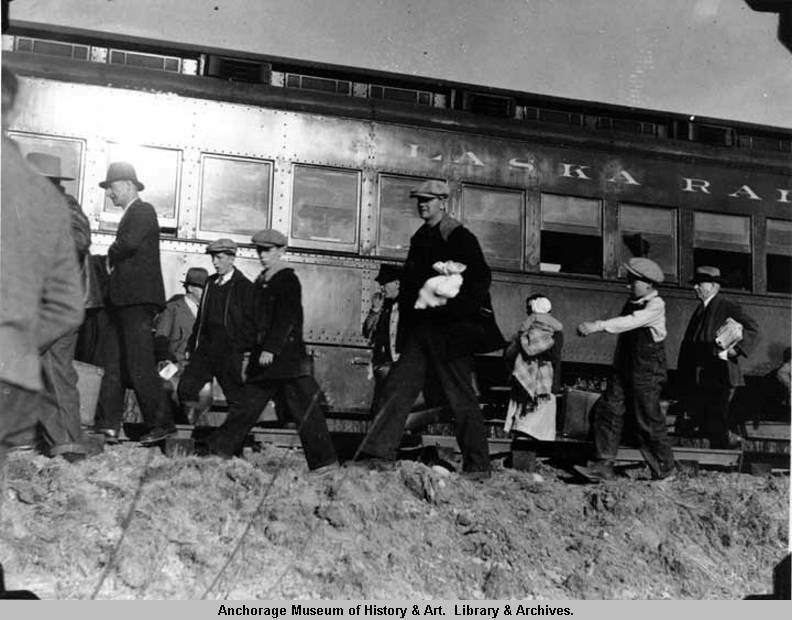 The 12th Territorial Legislature met while Alaska was in the midst of one of the most publicized agricultural efforts during the Great Depression: the establishment of the Matanuska Colony and the arrival of about 200 carefully selected families from Michigan, Minnesota, and Wisconsin. Legislation passed this session addressed the organization and operation of cooperative associations for marketing agricultural and aquatic products, and in 1936 the Matanuska Valley Cooperative Association was organized in Palmer. Further progress was made in education, with new requirements for teacher certification, the rechristening of the Alaska Agricultural College and School of Mines as the University of Alaska, and the establishment of scholarships for graduates of the Territory's high schools to attend the university. The Legislature also permitted people of incorporated cities and adjacent settlements to form independent school districts. Expressing its disapproval upon learning about religious qualifications for teachers imposed by the Nome School Board, the Legislature passed an act prohibiting school boards from requiring teachers to state their religious or political affiliations. The Legislature addressed public safety concerns by establishing penalties for reckless driving and driving under the influence of alcohol or narcotic drugs; by prohibiting the careless use of firearms; and by imposing increased penalties for contributing to the delinquency of a minor. In accordance with the 1934 federal Johnson-O'Malley Act, the Legislature authorized the Territorial Board of Administration to enter into contracts with the U.S. Secretary of the Interior to provide education, health care, and other services for Alaska Natives. One of the biggest health problems facing Alaska Natives at the time was tuberculosis, and the Legislature petitioned the federal government to fund additional medical facilities for the Bureau of Indian Affairs to treat victims of this "White Plague." Responding to the destruction of much of the city of Nome in a terrible fire on September 17, 1934, the Legislature asked the federal government to help rebuild the Coast Guard station at Nome and to grant a loan to the city for reconstruction costs. The Legislature also passed a resolution relaying its appreciation for the interest and aid rendered to the Territory by President Roosevelt, and wishing the President "congratulations upon his birthday." President Roosevelt signs a bill to open Glacier Bay National Monument to mining in 1936. Pioneering aviator Wiley Post and humorist Will Rogers die when their plane crashes near Point Barrow. Pacific-Alaska Airways begins air service between Juneau and Fairbanks. The Federal Social Security Act becomes law, providing insurance for retired workers. The Federal Bureau of Investigations is established with J. Edgar Hoover as its first director.